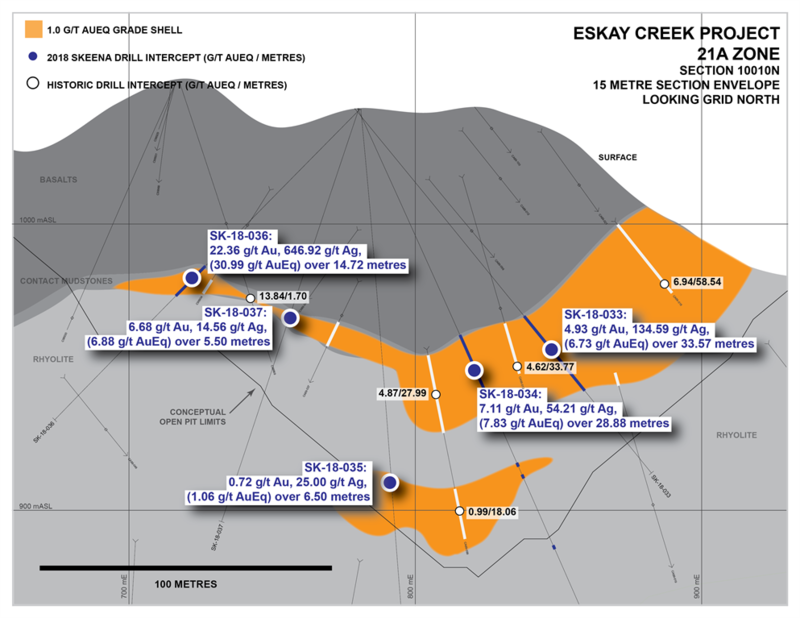 VANCOUVER, BC / ACCESSWIRE / January 15, 2019 / Skeena Resources Limited (OTCQX: SKREF) (TSX.V: SKE) (“Skeena” or the “Company”) is pleased to announce additional Au-Ag drill results for eight holes from the recently completed Phase I surface drilling program at the Eskay Creek Project (“Eskay Creek”) located in the Golden Triangle of British Columbia. The multifaceted Phase I program focused on the 21A, 21C and 22 Zones. Assays reported in this release are from the 21A Zone; assays from the remaining 22 Zone will be released once finalized. 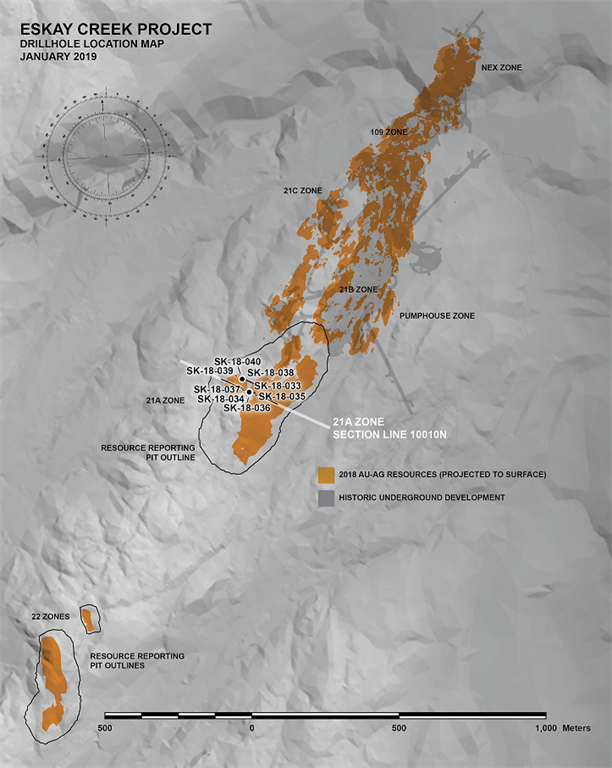 Reference images are presented at the end of this release as well as on the Company’s website.